Fabulous everyday collar with a hint of Glam! 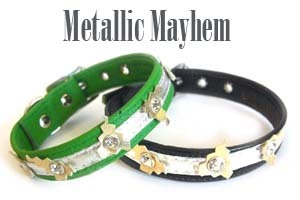 Choose the Collar colour and add either a gold or silver metallic leather stripe. Embellished with more metallic leather triangles and diamond crystal rivets. Fringing and tassels are everywhere on the catwalks and high street. 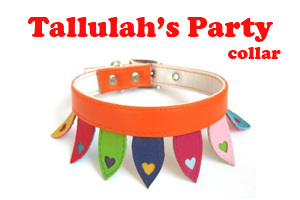 This fantastic collar is perfect for any party. In the collar colour of your choice, we will then decorate it with multi-coloured petals with cut out heart motifs. A truly unique and fun collar. If you want to have just one or two colour petals, please messages us as we are happy to make whatever colours you like. A hardy and strong camouflage cotton in pink, purple or green with a nappa leather backing. Perfect for that Urban jungle out there! This stunning black collar with the evil eye motif hand crafted in soft nappa leathers. 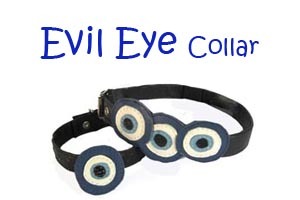 Choose from the single eye collar or the three evil eye collar. Tartans are the Autumn/Winter definitive print. These NEW en vogue collars are perfect for every fashionista. With leather stripes and matching crystals on a choice or contemporary Tartan colours. Designed by William Morris in 1883. 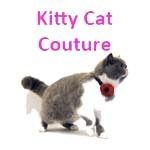 It was part of a group of designs incorporating animals with flowers. Stunning 'hide on' leather collars in Zebra or Cheetah. With your choice of leather colour...be as Wild as you dare! 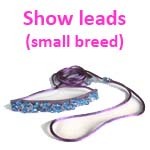 These are great hard wearing everyday collars. Great everyday collars for that Urban Safari! Made with East of India woven fabric backed with red nappa leather. A Patriotic everyday collar. Fly the flag for our great British pooch! 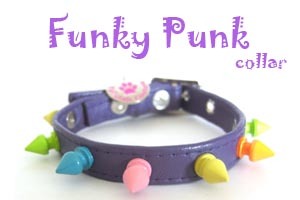 This punky collar for the punky pooch! In your choice of leather colours with multicoloured spikes. For the little soft rocker about town!! 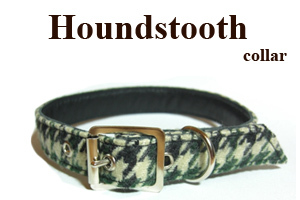 This traditional hard wearing woven fabric makes the perfect Country style collar. Backed with soft black nappa leather its a classic. A hardy every day collar.